I was more focused, from a business standpoint, on making a positive difference in other people’s lives. I began working more efficiently so I could spend more time with my wife and son. I became interested in finding companies to invest in that created value for humanity over the long-term. I paid more attention to my business’ ecological footprint. I changed my way of thinking, and acting, as an entrepreneur because I want to be a great example for my boy, and leave this world a better place for him and future grandchildren. Having kids changes the way you think as an entrepreneur and capitalist. It gives you a zoned-in focus on creating sustainable initiatives and prepares you for bigger challenges. So, if you want to be a great entrepreneur, go make a ton of babies (just kidding). The story I want to share with you today exemplifies the beauty of capitalism and demonstrates the importance for entrepreneurs to have a mission. 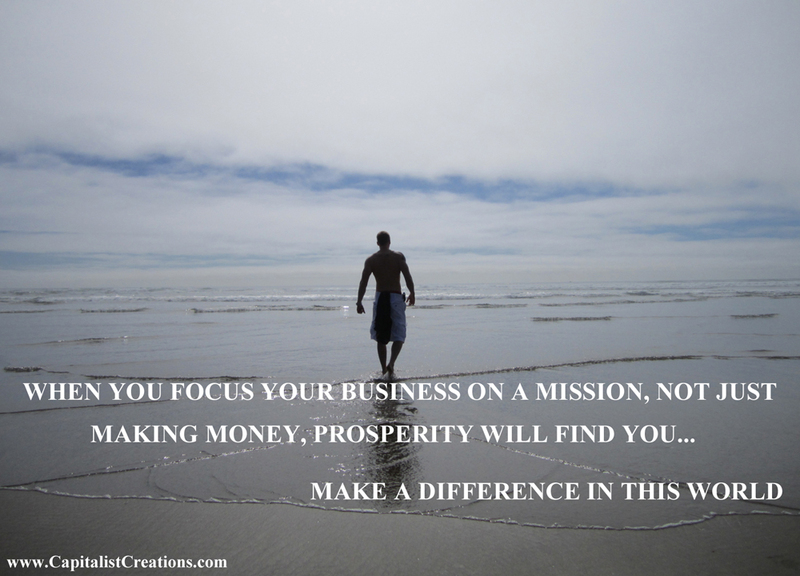 I mentioned on our fan page earlier this week that, as entrepreneurs, we need to focus our businesses on a MISSION, not just making money. If we do that, and do it well, prosperity will find us. This is a timeless truism of capitalism, and it will never change. Finding your entrepreneurial mission is critical to your long-term success as a capitalist. And in order to find your mission, you have to ask yourself, what am I passionate about? What would I spend my career doing if money was no object? I can tell you from personal experience, if you don’t love what you’re doing, even if you are making a fortune, you won’t be happy. Success is a byproduct of passion. What Akinori has created is a portable device that can convert our old plastics into oil. As you likely know, plastic containers consist of a substantial amount of oil. And considering that barely 4% of all plastic containers we send to the recycling plants are actually recycled, that’s a lot of oil being wasted, and a lot of landfills growing in size. Akinori’s motivation behind this ingenious innovation came from his children. As a child he loved the outdoors, and when he had children of his own, Akinori noticed the places where he once played weren’t there anymore. He began to research some of the environmental concerns within his own country, due to urbanization, technology and population growth. It was from this research that he established his entrepreneurial mission. That mission is to limit the negative environmental impact of trash by using Japanese technology to convert old plastics into oil (which can later be used for diesel, kerosene etc.). Thanks to his incredible innovation, plastic, according to Akinori, should be viewed as treasure, not trash.